There aren’t many federal grants or subgrants where the cost of space occupancy is small. The purpose of the award hardly matters. Research and development, education, social services, you name it — there’s still likely to be a significant outlay for the use of buildings and for the many related ancillary expenses. The webinar also will address acceptable methods of distributing facility-related costs when multiple awards are benefited as well as the applicability of the often-troublesome Davis-Bacon Act to federally assisted construction and renovation. 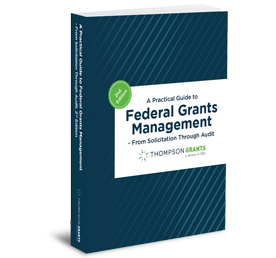 Join Bob Lloyd, principal of Federal Fund Management AdvisorÔ and a respected authority on federal policies affecting the acquisition, administration and audit of federal grants and contracts, for this critical review of the requirements you need to know to maximize cost recovery.